Custom E Bikes is a specialist electric bike shop in Bradford on Avon that is dedicated to bringing top of the line products at factory prices. 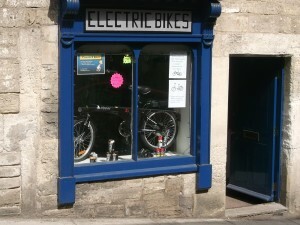 Many of our customers are first time “E” bikers and as a consequence we offer instruction in the art of riding an electric bike. Customers are welcome to come out for a ride before purchase in order to get used to the experience. You will find the simplicity of going up hills an enjoyable surprise. Custom E Bikes can also build bikes to order. Whatever your requirements are we will build a bike to fit you. All Bikes come with a 12 Month Parts and Labor Warranty, Charger and accessories pack.